Record-breaking, buzzing, diverse, upbeat: See how Panalpina leaders from different regions and products experienced Fruit Logistica, the global event for the perishables industry. VIDEO: What are perishables – and how do you pronounce that word anyway? 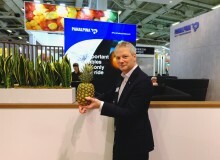 With Fruit Logistica 2019 just over, Panalpina has captured some of the funniest moments in a director’s cut video as the global perishables industry gathered in Berlin. As the main event for the global perishables industry comes to a close in Berlin, Panalpina goes on a fun food tasting tour for some of the freshest, most exotic and delicious produce. Join us on the tour! VIDEO: Is a cherry a berry? Perishables and e-commerce: Is the real promise in B2B? Is a cherry a berry? It all depends who you ask. Panalpina put this question to visitors at Fruit Logistica in Berlin, the main event for the global perishables industry. Get your facts right and watch the video. 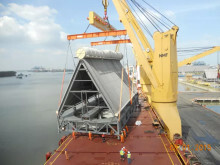 Perishables continue to spur the growth of global logistics. With Fruit Logistica in Berlin this week, we look at how e-commerce is factoring into the perishables industry. Driver or disruptor: the views are not clear-cut, and business-to-business (B2B) might turn out to be the big winner. 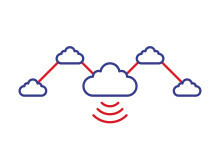 Everyone is talking about peak season, but this can mean different things. In his latest Quintessential installment, Quint Wilken, Global head of Air Freight Perishables, explains the difference between the general cargo peak season and the perishables peak seasons, and how they influence one another. More and more consumers across the world seek fresh, high-quality products, and local producers are stepping in to meet the rising international appetite. In the first entry of his Quintessential blog series, Quint Wilken, Panalpina's global head of Air Freight perishables, speaks of how Panalpina’s growing perishables business reflects global demand. Adaptation and inclusion can create something new and wonderful, from exports to customer experience. Peru began exporting asparagus in 1987. Today, it is one of the world’s leading exporters of the non-native crop and home to Panalpina’s first female managing director in the Americas. The perishables trade between China and Peru has a long history of cultural exchange dating back to the 19th century. And this trade is expected to increase in line with China’s growing appetite for fresh produce. Year-to-date and compared to the entire year of 2017, Panalpina alone has already tripled perishables exports from Peru to China. Colin Wells, global head of industry vertical perishables at Panalpina, introduces his blog "Colin's Food for Thought" and speaks of product empathy and his expectations for Asia Fruit Logistica 2018. Fruit Logistica 2018 in Berlin is history, but the global appetite for perishables persists. On the first day of the most important exhibition for the international trade of fresh produce, Panalpina’s Colin Wells elaborated on the global trends for the supply and demand of fruits and vegetables. Learn more and don't miss out on the new bonus video! 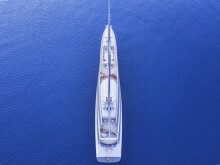 Panalpina supports Superyacht Supplies to delivery globally the rarest, most refined and most desirable food and drinks from every corner of the world. Primarily, Panalpina moves perishables, including meat, fish, caviar, dairy, fruits and vegetables, etc. but also dry food, wine and spirits and in fact anything else the yachts request, even bottled water, suntan lotion, and cleaning products. 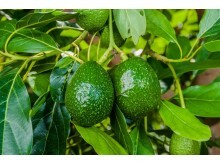 Last year the world grew hungrier for fresh produce and the industry saw some very interesting trends and developments. Ahead of Fruit Logistica in Berlin, we looked back at the many stories on perishables that were published in 2017 and picked five that caught our attention in particular. Two are about blockchain, two about the cool chain and one, not too surprisingly about Amazon and e-commerce.